Home » Puppy's First Year » How Much Does Puppy’s First Year Cost? What is the financial cost of being a pet parent? Let’s be honest, pets are not inexpensive. The financial commitment in a puppy’s first year, with veterinarian visits, spaying/neutering and vaccines alone, adds up. And that’s not taking into consideration any illnesses or accidents your puppy may have along the way. But the expenses don’t stop here. There’s the additional cost of collars, leashes, poop bags, puppy training, chew toys, bedding, toys, and for those pets that require it, coats, sweaters and yes, even booties, the list goes on. And not to be forgotten, the ongoing cost of feeding your pet. So just how much does a puppy’s first year cost? This is the first in my series, “The Cost of Pet Ownership”. And because my puppy just turned one, I am going to discuss the average cost of my “Puppy’s First Year”. Of course, just like anything, the fees and costs associated with raising a puppy are variable. Factors include, but are not limited to, the size of your puppy, your choice of products/brands, and the specific needs of your puppy. Some products, such as medications, puppy food, crate sizes, even protective clothing, are based on the weight/size of your puppy and will be more or less expensive. You may decided that not all products and services I discuss are relatable to your puppy. Mentioned here are what I personally believe provided for my puppy in during her first year of puppyhood. I’m starting off with my puppy’s basic veterinarian fees for wellness exams, spaying and vaccines during the first year. Puppy’s first veterinarian visit involved a wellness exam, weigh-in to chart her growth, bringing in a stool sample for testing, receiving her boosters (DA2PP, Leptospirosis, Bortetella), and discussing my puppy’s nutrition and just how much to feed her. Our second vet visit included another physical exam, charting my puppy’s weight and growth, discussing how my puppy was adjusting and answering any questions and concerns. My puppy received her final set of boosters for the year (DA2PP, Leptospirosis, Bortetella) and included in this visit was a Rabies vaccine. **Note: Not everyone will choose to have all the vaccines noted above. I choose these vaccines based on my puppy’s exposure. Rabies vaccine is required by law. Check with your vet what vaccines are best for your pet’s health. At approximately 6 months of age my puppy was spayed. Spay surgery fees included: The spay surgery itself, preanesthetic blood panel (optional), antibiotic injection, pain medication, IV fluids, and in my puppy’s case, removal of deciduous puppy teeth. Also Included in the fee was pain medication to administer at home, and a gel to apply to the surgical site. A “cone of shame” was fitted on my puppy to prevent her from licking/chewing the surgical area. My puppy was already chipped so I did not have this expense. Although not everyone chooses to microchip their puppy, I personally believe it’s important, well worth it, and would have had it done if it was not already. The fees for heartworm and flea & tick prevention is based on a pet’s weight. Because my puppy is a small breed, medication costs are on the low end. The amount listed is based on a 6 month supply of medications. Accidents and illnesses happen. Hopefully your puppy will continue to be healthy and not have any unexpected visits to the vet, but be prepared for additional expenses not mentioned. The sky is the limit when it comes to purchasing products for our puppies. And based on your puppy’s needs and size – the larger the puppy the more expensive some products are – costs will vary. Below are the puppy supplies I purchased. Prices quoted are based on my puppy’s size – small, under 15 lbs. Dog crates keep inquisitive puppies safe and from getting into things and places they shouldn’t be. All my dog’s have learned that their crate is a place to call their own, have a nap, relax and feel safe. Crates should never to be used as a punishment! I have two dog beds. One bed is placed in my puppy’s crate, the other dog bed stays in my living room. Again, because my puppy doesn’t require a large dog bed, the cost quoted is on the lower end. I travel frequently with my dogs in the car. For their safety and mine, they are restrained in a car set that hooks on to their harness and straps in with a seatbelt. I calculated that on average, my puppy poops between two to three times a day. So based on three times a day, and over the course of a year, I will have picked up 1,095 puppy poops! That’s a lot of puppy poop! Maybe this is one of those things I shouldn’t have calculated 😉 In my experience, there are good poop bags, and not so good poop bags. I have three very important requirements when it comes to a poop bag – bags must open easily, they must be strong, and poop bags must never rip! Puppy potty pads are not necessarily a necessity, but if you bring your pup home in the middle of winter you may want to consider having potty pads available. I prefer food and water dishes that are elevated and have a rubberized/non-slip base making it less likely for an excitable puppy to move or tip over. The price I’ve quoted is based on buying 3 harnesses over the course of the first year due to my puppy’s growth. I also choose to purchase a harness that can secure my puppy in a car. Depending on the type of collar or harness you choose for your puppy, costs will vary based on – size, style, brand and the material they are made of (ie leather vs synthetic). 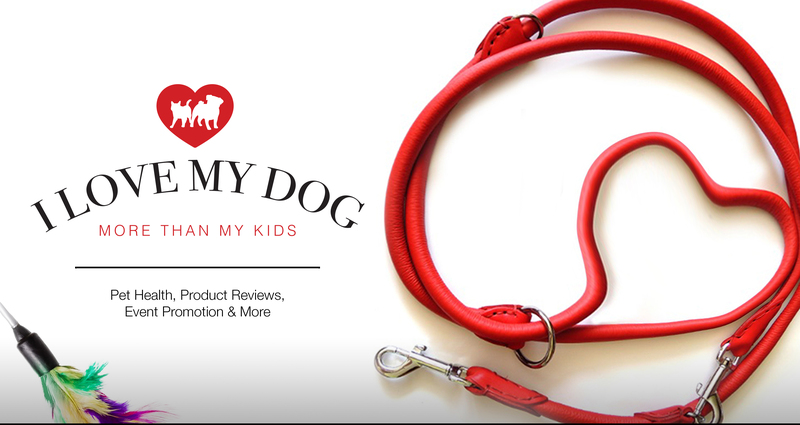 Size, type, brand, and material will dictate the cost of your puppy’s leash. I buy a 5ft leash and look for a hook/snap that is well made and sturdy. It’s Important for me to have a leash that is comfortable and won’t rub or burn my hands when my energetic puppy pulls while walking. Even if you are planning to train your puppy yourself, I strongly suggest enrolling puppy in at least one set of puppy classes when they are between the ages of 10-16 weeks old. It’s important for puppies to socialize with other puppies/dogs, humans and be exposed to different environments. Having another dog already, I have plenty of toys for my puppy to play with. However, I did invest in some more durable teething toys that would keep puppy busy, entertained and stand up to those sharp puppy teeth. How much does it cost to feed a puppy in the first year? How do you decide what to feed your growing puppy? I personally believe you get out of your puppy/dog what you put into them. So for me, it’s important to choose a food that is nutritionally balanced and tailored for puppy’s size, breed and specific needs. The price quoted above is based on a premium brand of puppy food that kept my puppy fed for approximately 7 weeks. Of course, if you have a medium or large sized puppy, it will cost more to feed them – the larger the puppy, the more they eat! If you are trying to decide what and how much to feed your growing puppy, speak with your vet for assistance. Note: Fees, costs, prices quoted are variable, do not include applicable taxes and are based on Canadian funds. Thanks for sharing this post – people have to be prepared for the cost of being a pet owner, before taking this step! Thanks for sharing! Your pug is ADORABLE! I have an 8 month old Boston Terrier, and your analysis on costs is spot on.